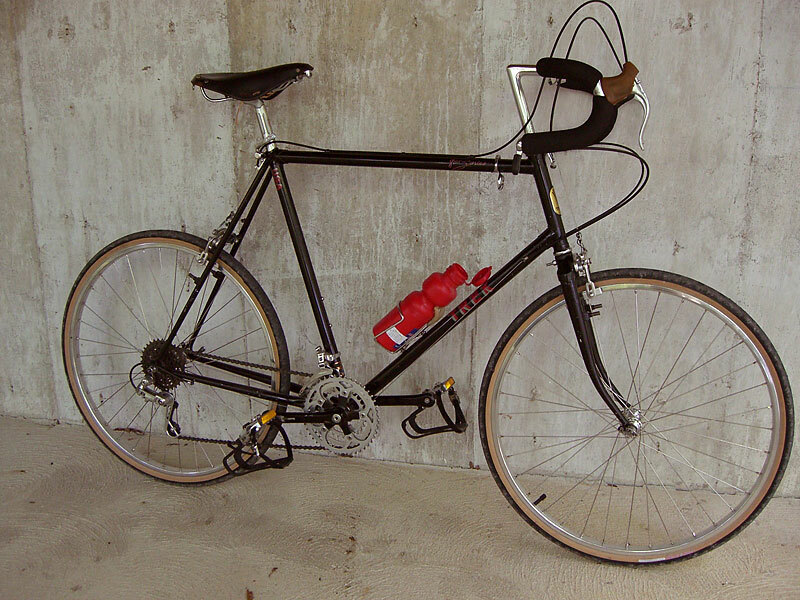 Tomorrow I may be riding for the first time my 1985 Trek 850 mountain bike converted to 650B. From my LBS I purchased Nifty Swifty tires. These tires are mounted on a pair of Weinmann 2120 36-hole 650B rims. The hubs are a pair of Campy Hi flange which were originally spaced for 120 mm rear end. A spacer was added on the right side. The 120mm axle is still there, but a 135mm quick release lever holds the wheel in the 126mm rear end. The only original equipment is the rear and front deraillers, chainrings 46-40 and 28, 170mm cranks, 5-speed freewheel and chain. Besides the 26 " wheels I have replaced the mountain bike handlebar with Nitto 44cm Noodle, a 90cm Nitto stem, and Wienmann brakes levers with a quick release feature built-in. 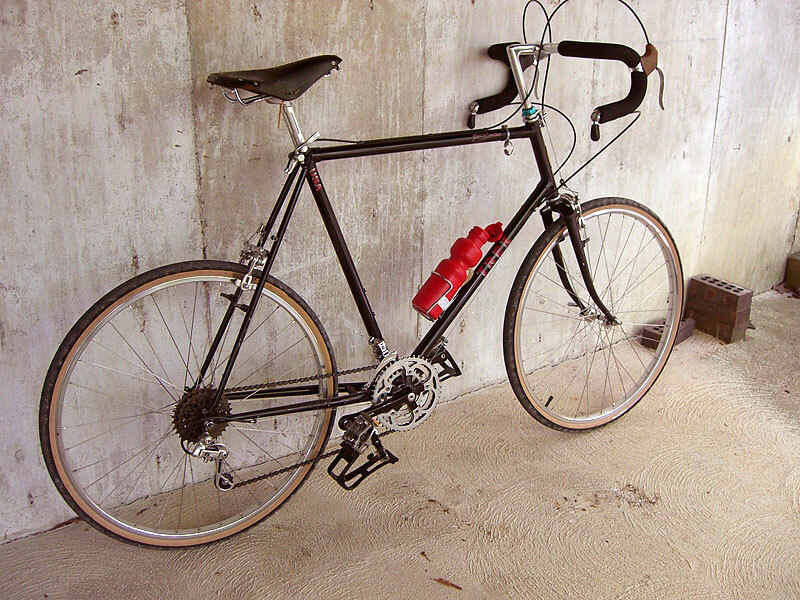 The saddle is an old Brooks B17. The height of the saddle can be changed by a quick release lever. The brakes are Dia-Compe 5583 which hit the rim perfectly! The frame angles are such that even with a front 700c wheel the pedal never touched the front wheel. There is even more room with the 650B front wheel. Since this was originally a mountain bike with 26" wheels I am raising the bottom bracket. (When I road the bike with 700c wheels, the pedal never touched to ground even when I was cornering.) The clearance which the bike had with 26" wheels is increased with 650b. 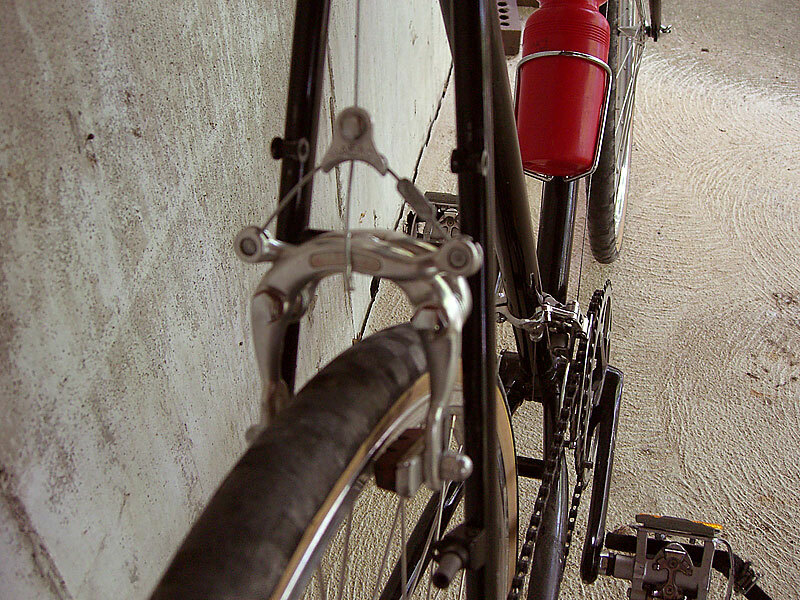 The distance from the rear brake bridge and from the chainstay bridge to the top of the inflated tire is a uniform 4mm. The distance from the top of the inflated tire to the front fork brake hole is 4.8mm. The bike came with cantilever brakes. If I really the 650B wheels, I may consider having the cantilever bosses moved. I am using a pair of Simplex cyclocross bar end shifters. 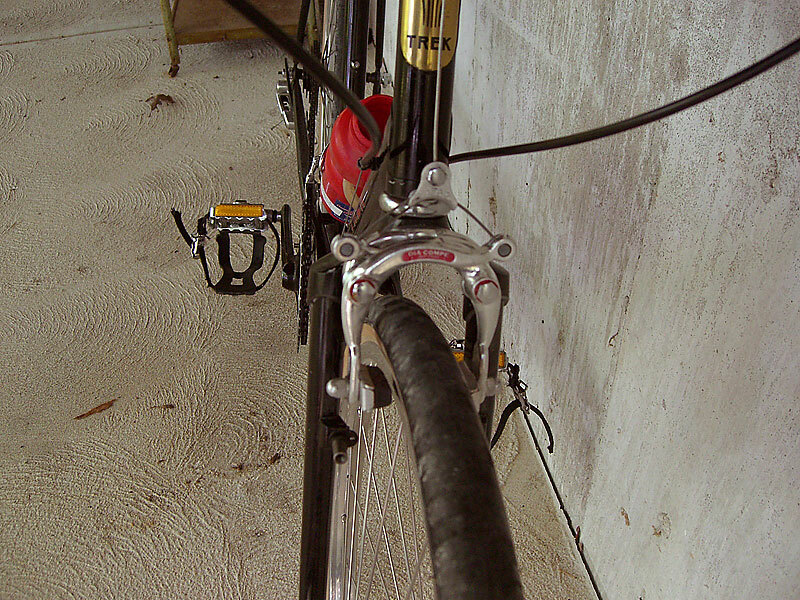 On the downtube are derailler cable stops. The frame also has two sets of water bottle bosses. I would even add additional water bottles on the bottom side of the downtube and behind the seattube.